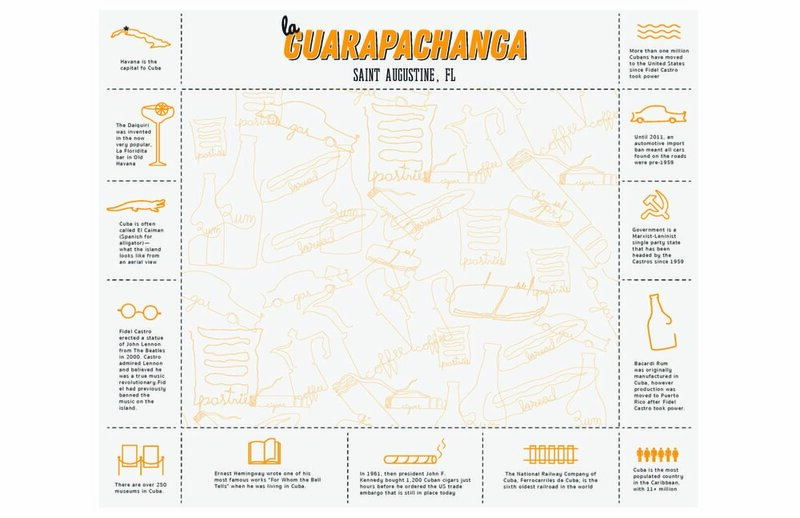 La Guarapachanga is a fictitious, Cuban American fusion restaurant located in Saint Augustine, FL. The premise of the restaurant is bringing cultures together through the art of cooking (and eating!) This idea is achieved by using the menu as a key point of conversation. By giving each meal Spanish names but English descriptions, the idea is to reconcile the perceived differences among both cultures—even though the names might be different, the food is not. The takeaway being that no one is so different after all. 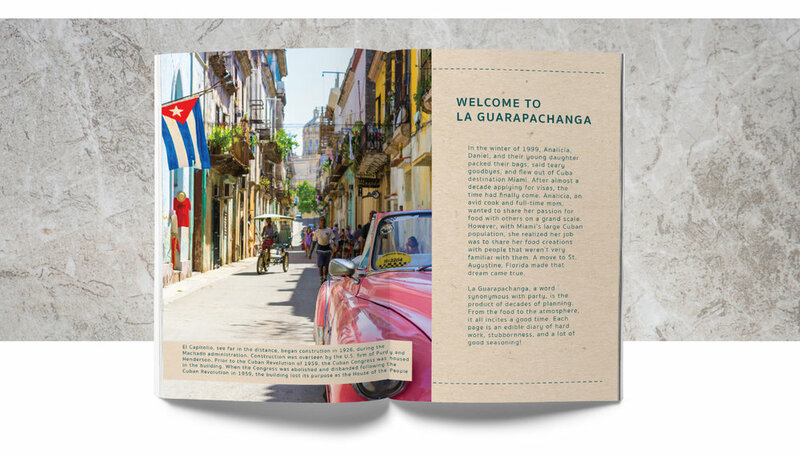 Happiness, brightness, enjoyment—the branding for La Guarapachanga is supposed to make a potential patron feel all of these things. There is a mandatory quirk injected into the aesthetics of the brand. Cubans are known to be fun-loving people while Americans can sometimes be described as more serious and reclusive. This dichotomy, by no means negative, is visually expressed by the blending of straight and organic lines, by the bright colors and stark black accents. There is a visible order to the madness, a grid within a sea of color. La Guarapachanga lives in a state of eternal flux that appeals to anyone and everyone. 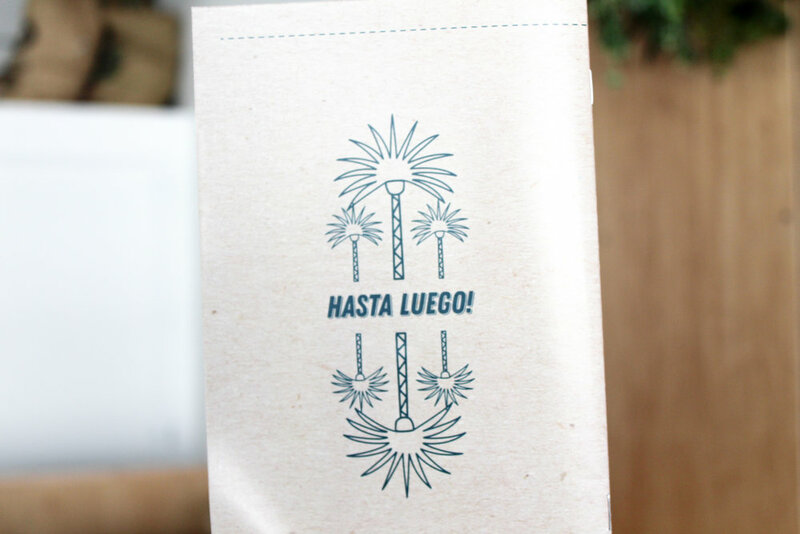 La Guarapachanga is a hub for change, inclusivity and edible magic.